Although the DREAM Act is the more favorable program, the DACA was the program that truly made a difference. Unfortunately, the DREAM Act legislation was never passed by Congress; however, the DACA was put into action in 2012 by an Obama administration executive order. Since its inception, it has impacted nearly 800,000 young people. And due to the program elimination, these same people will lose their amnesty. Given this large number of those who will be impacted, I feel it is important to understand who these people are. Who are they? Where do they live, where are they from, and what have they done with their amnesty granted by the DACA? When we take into account the individuals who will be devastated by this program removal, the issue becomes much more tragic. These people are more than just a number, more than just a DACA application, they are people, with their own lives, aspirations, and DREAMS. Who are the DACA beneficiaries? Statistically speaking, DACA beneficiaries are young people- the average DACA beneficiary is 24 years old. They are also more likely to be a woman- 52.6 percent of beneficiaries are women while 47.4 percent are men. While DACA beneficiaries may be different regarding their legal status, in other ways, they are normal young Americans. They go to college, have fun with friends, and work normal jobs. Currently, about 700,000 people are active beneficiaries, meaning they currently have a valid status. Where do DACA beneficiaries live? The map below shows places in the U.S. where more than 1,000 DACA beneficiaries live. 85.4 percent of beneficiaries are represented on this map, the other 12.6 percent live in places with less than 1,000 other beneficiaries. California and Texas are states with the largest number of beneficiaries- together they house 45 percent of all beneficiaries. The other states with the largest number of beneficiaries are Illinois, New York, Florida, Arizona, and North Carolina. Contrary to popular belief, places with large immigrant populations do not always yield large numbers of DACA beneficiaries. 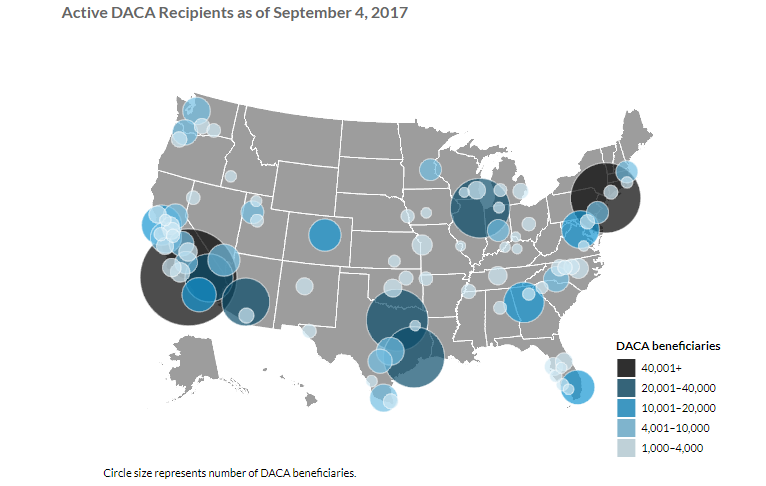 Where are DACA beneficiaries from? There are DACA beneficiaries from more than 150 countries- including 6 of the 7 continents. In reality, the DACA beneficiaries are more diverse than expected. However, there is a large portion of beneficiaries coming from Mexico- 79 percent of the total DACA population were born in Mexico. So now that we know a little bit more about DACA beneficiaries, I think it is important to acknowledge the individuals and each of their stories. This video published by Time shows how much of an impact the DACA has had on numerous young people. Personally, these stories fill me with emotion. I am happy they’ve been given the chances provided by the DACA and proud of their accomplishments as fellow Americans, but I am also mad. I am mad that these wonderful people’s lives are at risk. Everything they’ve worked for, from degrees to their homes, is at stake. 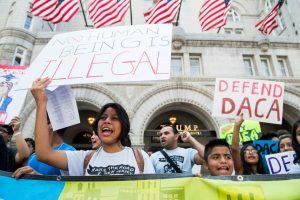 The DACA elimination is wrong. Singer, Audrey. “Who Are the Active DACA Beneficiaries, and Where Do They Live?” Urban Wire, Urban Institute, 5 Oct. 2017, www.urban.org/urban-wire/who-are-active-daca-beneficiaries-and-where-do-they-live. Rhodan, Maya. 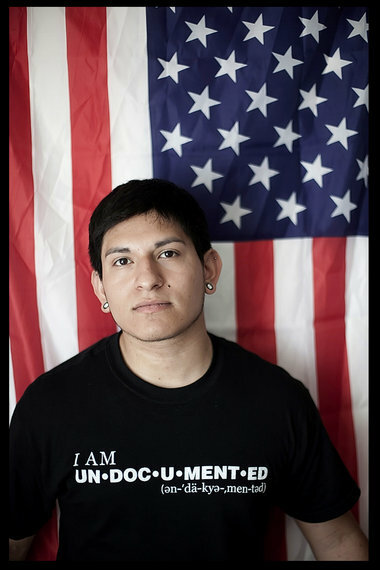 “Undocumented Youths Are Sharing Their Stories Online in Protest.” TIME, TIME Inc., 30 Aug. 2017, time.com/4922121/dreamers-daca-undocumented-online/. So now that I’ve established the negative impact of the DACA elimination, as well as the societal and economic benefits of the DREAM Act, there isn’t much else right? Wrong. The DREAM Act benefits are plentiful. Unexpectedly, the DREAM Act will benefit the military. 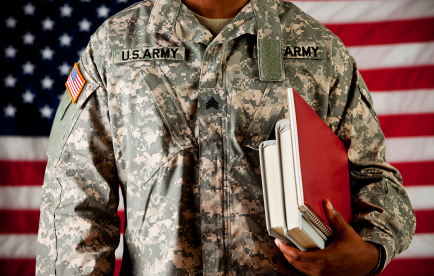 The benefits of the DREAM Act for the military will be quickly realized and plentiful. The DREAM Act will encourage enlistment. For those beneficiaries who do not wish to continue their education, the military will be their only option to maintain their amnesty- because of this, many Dreamers will make the decision to enlist. The DREAM Act expands the recruiting pool. While some Dreamers will make the decision to enlist on their own, some others may need some convincing. If they finish high school and college and are unsure of where to go from their, recruiters will be able to offer guidance, which will help the individual and the military itself. The DREAM Act beneficiaries will enhance the military. While all recruits are appreciated, foreign-born recruits are ideal military recruits because of their foreign language skills and their foreign culture awareness. Not only this, but foreign-born recruits have lower rates of attrition. The DREAM Act will increase the military’s diversity. With the influx of foreign-born recruits, the diversity in the military would sky-rocket. And with this diversity, unique ways of thinking, different abilities, and varied knowledge sets would be added to the military. So, if the moral goodness of the DREAM Act isn’t enough to convince you of its worthiness- what about this? What about the fact that the DREAM Act will not only benefit ambitious young adults, but also the economy, American society, and the U.S. military? Undeniably so, the DREAM Act is a great option for America. Donald Trump may not agree, but facts speak louder than opinions. Once again, I call to you, the young people of America, to help our fellow youth- to help our nation. The DREAM Act is not merely a question of morals, it is a question of logic. So for whatever reason- economic, moral, societal, or the military- support the DREAM Act because its the logical thing to do. The DACA elimination will have a negative impact on society. This decision will cause 800,000 people to be eligible for deportation. This situation will harm American society because it will be a societal loss. Within the group of 800,000, there are many individuals that contribute greatly to America itself. In the group, there are doctors, lawyers, entrepreneurs and many other contributing roles. This loss is significant because it will contribute to a decrease in the quality of American society. Additionally, most of DACA beneficiaries are college graduates and/or military. If these people are eliminated, there will be consequences for America such as a lower number of military personnel as well as a lower number of educated citizens. The DREAM Act has potential to benefit society in three ways. One way is it will help America look better, statistically speaking. What this means is that it will help the US’s proportion of college graduates and it will also help the US’ average income nationwide. This is because DREAM Act beneficiaries salaries will likely increase as a result of their college education Another way the DREAM Act will help society truly be better. Factually speaking, immigrants are a good addition to society. Typically immigrants are better business owners and are more likely to be a doctor. With the intake of so many immigrants, there will be an overall improvement to society due to the quality of the people. The final way is related to the standard of living in the U.S. The DREAM Act has potential to increase the standard of living by decreasing the unemployment rate. The act itself will create over a million jobs in twenty years. The standard of living will also be increased by an influx of funds to help programs such as social security and Medicare. Citizens will be able to provide for themselves sufficiently if this betterment of society truly occurs. DREAM Act will help society truly be better. Factually speaking, immigrants are a good addition to society. Often immigrants are more successful entrepreneurs- eBay, Google, AT&T, Kohl’s and many other big companies were founded by immigrants. Also, immigrants are statistically more likely than native-born Americans to be a doctor or surgeon. With the intake of so many immigrants, there will be an overall improvement to society due to the quality of the people. The final way is related to the standard of living in the U.S. The DREAM Act has potential to increase the standard of living by decreasing the unemployment rate. The act itself will create over a million jobs in twenty years. The standard of living will also be increased by an influx of funds to help programs such as social security and Medicare. Citizens will be able to provide for themselves sufficiently if this betterment of society truly occurs. When Trump made his decision, the decision to eliminate the DACA, do you think he thought about this impact it would have? It’s not likely he did. Regardless, now is our chance as the youth of America to consider the impact and use our resources to push for the DREAM Act. We need to be relentless and contact our representatives, protest the decision, and spread awareness. Not only is the DREAM Act a positive decision for the economy, it is also a positive decision for society. If you had to choose between having $2 and $20, you’d choose $20, right? This is because logically and economically speaking, having more money is beneficial. More money equivalents to more assets which can lead to an overall improvement of the standard of living. Eliminating the DACA is an economic mistake. It is a costly decision because according to the CATO institute, it would cost the government at least $60 billion to deport all DACA recipients. Not only this, economic researchers have estimated that the elimination of the DACA is likely to result in a $400 billion economic loss. Ultimately this will lead to a decrease in GDP. For those of you who aren’t economically savvy, GDP stands for gross domestic product and it is a measurement of a nation’s economic standing. A decrease in GDP can lead to higher unemployment rates and can even cause an economic recession. It will create jobs. A report sponsored by the Partnership for a New American Economy estimates that the DREAM Act will create 1.4 million jobs. An increase in jobs ultimately helps the economy because it alleviates the poor’s financial burden and decreases the unemployment rate. It will lead to an increase in earnings. By granting citizenship to an estimated 2.1 million people, the nation’s overall earnings would increase by about $148 billion. This is good because it increases the overall standard of living. It will increase the nation’s GDP. 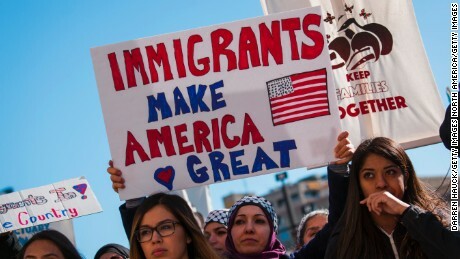 Using a model developed by American Community Survey data from 2006-2010, researcher Jua n Carols Guzman concluded that the DREAM Act could potentially add $329 billion to the American economy. Additionally, there would be an increase in college-educated Americans which correlates with an increase in GDP. Not only will the DREAM Act help the nation’s overall economic situation, it will also help the U.S. government’s financial situation. It will do so through an increase in tax revenue. If the estimated 2.1 million people become legal working citizens, a portion of their income will go to the government in the form of taxes. 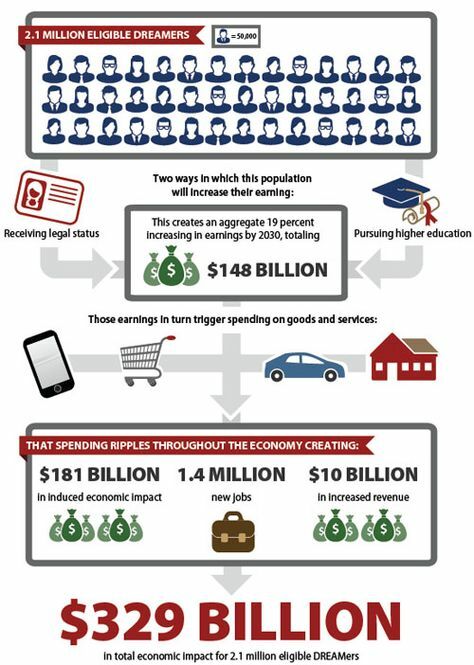 To be specific, total tax revenue would increase by at least $10.2 billion. Despite these findings, some Americans still have some misconceptions regarding the economic impact of the DREAM Act. People often claim the legislation would be “too expensive.” In reality, the DREAM Act would generate $1.4 billion more than it costs. Also, DREAM Act applicants would be responsible for paying the fees related to their application processing. Essentially, the idea that the DREAM Act is too expensive is WRONG, as Donald Trump would say. In my educated opinion, I believe Trump’s decision is WRONG. He ignorantly made the mistake of eliminating a great program, the DACA. Now, he is ignorantly making the mistake of not backing the DREAM Act, because as we can all see, it’s the economically savvy decision. On September 5th, 2017 I received an email from one of my high school teachers. The subject line read “DACA” and the body had only a few words- “I hate Trump.” A quick google search led me to the discovery that President Donald Trump made the decision to eliminate the Deferred Action for Childhood Arrivals program (DACA). I was immediately distraught. My senior year of high school, I wrote a research paper on the benefits of the DACA, and its superior counterpart the DREAM Act. Because of this, I realized the hugely negative impact that this decision would have on 800,000 DACA beneficiaries as well as the nation as a whole. After contemplating the decision the President had just made, I came to the realization that this was my kairos, my opportunity to speak out about the reasons that the DREAM Act should be implemented. The DACA is not an option for those wishing to obtain legal status. What this means is that DACA beneficiaries can stay in the U.S. legally, but only for two years at a time. After two years, they must renew their status. The DREAM Act, however, provides a more permanent solution to legal status issues. The DREAM Act is a permanent solution. The DREAM Act is a proposed piece of legislation, that if passed, would become law while the DACA is merely an executive order. The reality of this difference recently became clear when President Donald Trump decided to not renew the program. However, there is now potential for Congress to make the DACA legislation. So, while we are desperately clinging to the familiar hope of the DACA, I feel that we should refocus our efforts. Rather than saving an unstable and inferior program, the youth of America should look to the DREAM Act as a solution for our fellow youth. Despite this ambitious goal, it is important to note how the elimination of the DACA will impact America. 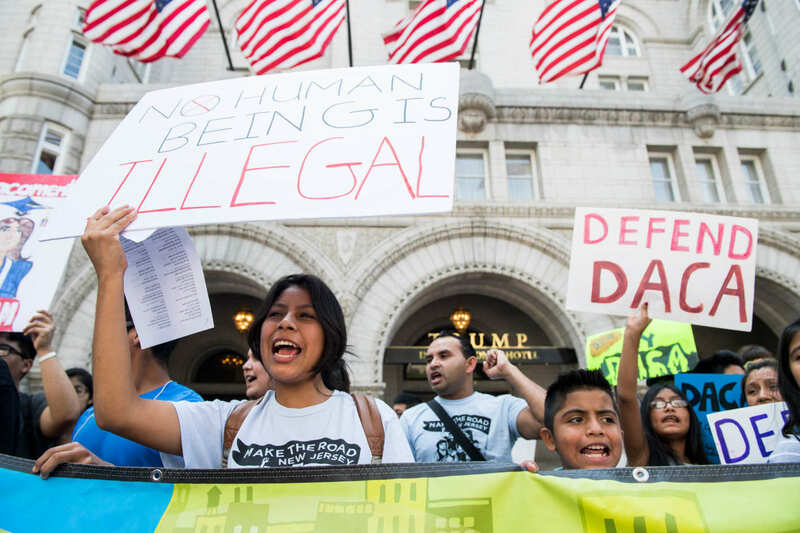 First things first- 800,000 young adults are now eligible for deportation. This is not only unjust for those becoming eligible for deportation, it is also unjust for the nation. These beneficiaries are educated, productive members of society, and to deport them would be a disservice to the quality of the nation. The workforce will be weakened. With 91% of DACA beneficiaries employed, their deportation will significantly impact the workforce. Undesirable jobs in the agriculture, food, construction, and accommodation industry will be left open. The DACA ending could hurt the economy. The Center for American Progress estimated that the deportation of DACA workers could lead to a $400 billion decrease in GDP in the next 10 years. The DACA ending is tragic, to say the least. However, I feel that this unfortunate circumstance is an opportunity in disguise. As the youth of America, we can focus our efforts on saving Dreamers, not only by preserving the DACA but implementing the DREAM Act.